2018 Netflix Halloween Countdown: "Gallowwalkers"
A year after my Netflix Halloween Countdown, some of the movies I originally listed are no longer on Netflix! 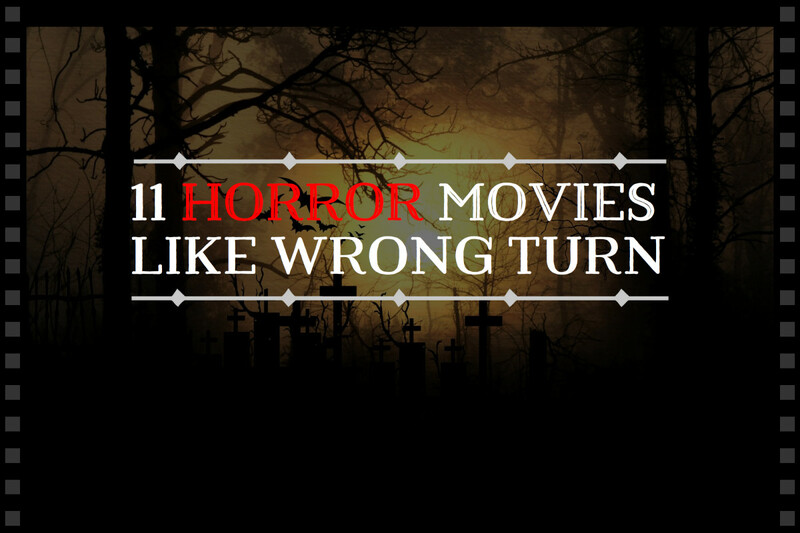 So once again, I will be watching and reviewing the spooky, scary, gory, chilling, and horror-themed movies on Netflix. With each review, I will be including an up-to-date table that ranks the movies from best to worst. If you are looking to get in the Halloween spirit, by watching some Halloween style movies, then these articles are for you! Aman (Wesley Snipes) is cursed. After the woman he loves is raped and murdered, he goes on a mission of vengeance to kill the men responsible. He finds those men and kills them. Aman now believes that his dark past is behind him, but the men he killed have come back from the dead and are on their own mission of vengeance. 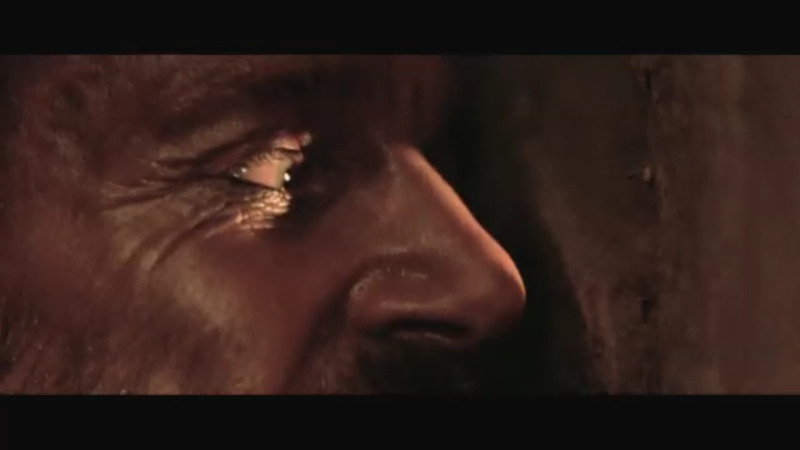 Once Aman makes an attempt to trap and kill the men once again, he realizes that the remaining men will be coming for him. Aman needs help so he finds a young man, named Fabulos (Riley Smith), frees him from his impending execution, and teaches him about the zombies that will be coming to exact their vengeance. Aman pays the young man and the two prepare to take on the gang of super-powered, intelligent zombies. All movies start with an average score of 75pts, points are then awarded for each Pro and taken away for each Con. Each Pro or Con is designated points ranging from 0-10 allowing me to convey to you how significant these Pros or Cons are. I thought this movie had an interesting premise. 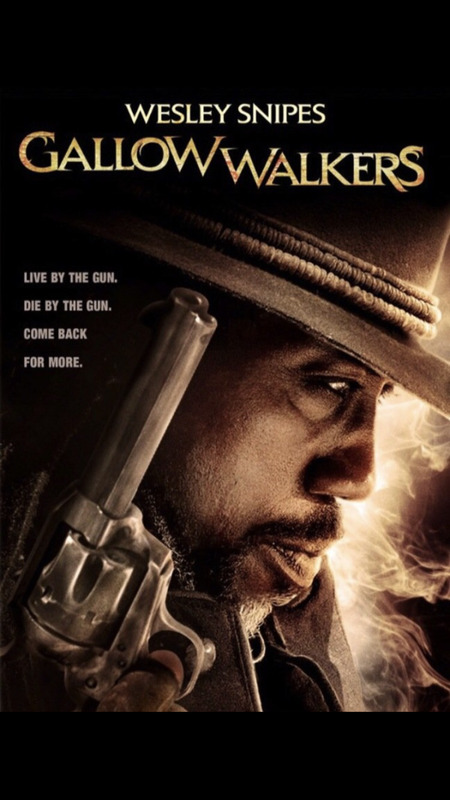 A gunman in the wild west is the victim of a curse that causes the men he murdered to be brought back from the dead. 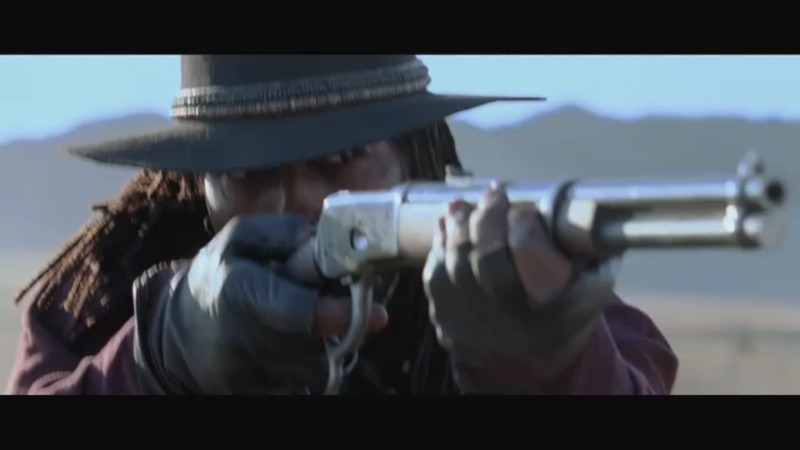 Usually, zombie films are set in the modern time period so it was a pleasant surprise to see a zombie film that is set in the wild west. Cowboy hats, horses, guns, and zombies. 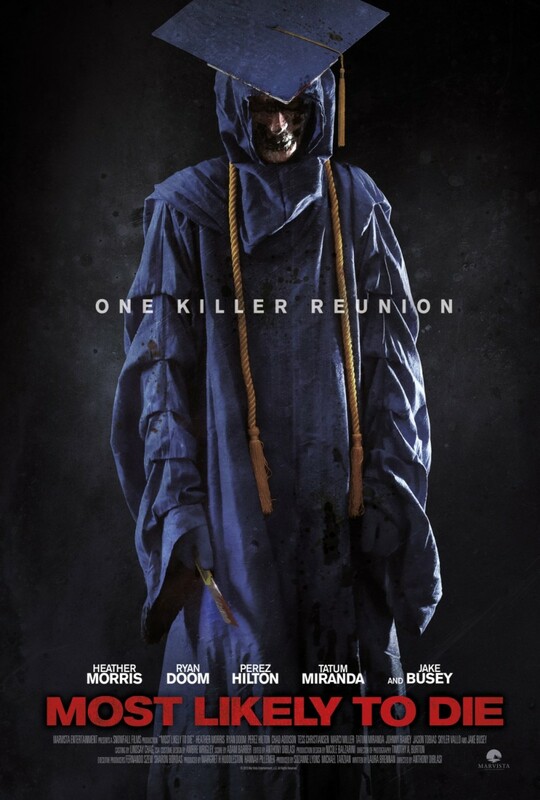 I was definitely intrigued by the premise of this film and, knowing Wesley Snipes' history in the horror-fantasy genre, I thought this film had potential. Unfortunately, I watched the film and saw the embarrassingly terrible execution of a decent premise. The plot for this film was unbearable. So this gunman single-handedly kills a gang of rapists and murders. Then they come back to the dead and this gunman decides he needs help? This guy is a master when it comes to guns, so I am not convinced that he would need help, but let's just go with it an assume he needs help. Who does he get? Some young guy he does not know, who is about to be executed. What can this guy bring to the table that Aman actually needs? Oh, and let me point out that Aman is able to free the young guy, by shooting his handcuffs from about a mile away (and on a cliff). So remind me again why Aman needs help in the first place. Then there is the issue with the goals of the film. So Aman kills a bunch of men, those men are resurrected somehow (with no explanation), then they wander around, Aman tries to kill them, then Aman decides that they are now going to come after him. So Aman and Fabulos, prepare and wait. Then, come to find out, the zombies have some other goal (which I will not get into here). The plot for this film is an absolute mess and it is absolutely riddled with plot holes. My only explanation is that this script was written, re-written, re-written again, butchered, and Frankensteined into the final version of the story. The action in this film was actually pretty decent. There are some cool gun fights, some brawls, and some powerful monsters. 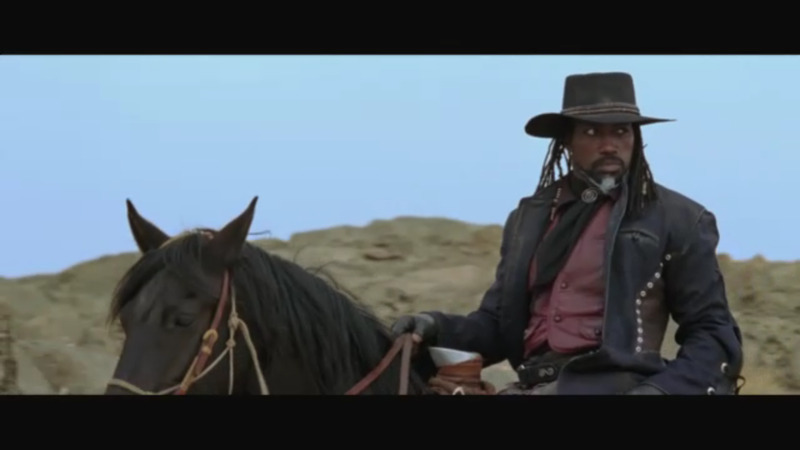 Aman is a master with a gun, so the film is somewhat watchable whenever he is firing a weapon. Believe me, if you knew how bad this film was, you would know that some scenes being "somewhat watchable" is a huge step up from the rest of the film. There are plenty of violent moments in this film. Characters die, come back to life, kill other people, and get killed again. Unfortunately, while the action was watchable, there was far too little throughout this film. As a result, the action that actually happens, makes almost no improvement on the film. I struggled with how ridiculous the "zombies" were in this movie. I am using the word "zombie" very loosely, and simply mean that these people have died and come back from the dead. For whatever reason, the zombies' skins decay but their muscles do not. So they kill other people, skin them and wear the skins as their own. They also look exactly like they do before except they have, what looks like, bleached blonde hair (because reasons). The zombies do not bite people or eat people, they behave exactly as they did before they died except they also have to skin people regularly. I thought this took all of the interest out of the premise of this film. The zombies are really just strong men that are tough to kill. Oh, and let me tell you about one of the zombies. One zombie decides that human skin decays too quickly. So he kills lizards and uses their skin instead. He also deems it necessary to leave the tails on the skin as he is wearing it. So it looks like this character has pig tails, but they are really tails and they are from lizards. It is such a dumb concept. The lizard zombie and the rest of the zombie gang were so dumb and ridiculous in the worst way. While I absolutely hated the "zombies" in this movie, I thought the special effects looked pretty good. It did not feel like a zombie film. 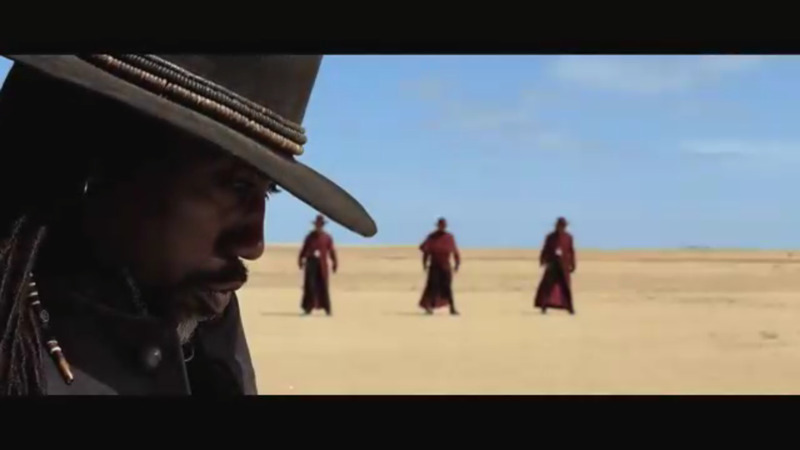 It felt like a western-fantasy, and the special effects were definitely in-line with a fantasy tone. When we first see one of the zombies, they have a weird scar running along the edges of their face. That immediately suggested that the zombies were wearing other human's skin. However, I had no idea what they looked like underneath. Then we see one of the zombies before they put on another skin. The zombies skin themselves down to the muscle, and this muscle effect looked pretty cool. It fit the tone of the film, but I will be honest, the special effects end up meaning very little. This is a terrible movie with a few good special effects. The characters in this film are very poorly written. There is only one character that gets even a little character development. That character is, obviously, Aman. All we really know about him is that he is amazing with a gun, and the love of his life was raped and murdered. Every other character is extremely one-dimensional and it made the film very uninteresting. Fabulos, is a young man that can fight. There really is not anything more to him. All of the villains, simply, want revenge and the main villain wants his son to come back to life. This is honestly all of the character development in this film, and it made the film very uninteresting. There is no way around it, Gallowwalkers is a bad movie. I tried to keep this review brief, where I could, because I do not want to take up much of your time talking about this movie. The film has an interesting premise and a couple neat special effects but that is all this movie was. The plot was an absolute train wreck that was full of plot holes and will leave viewers wondering if the film was written by a couple of middle-school children. The concept of the "zombies" in this film was so ridiculously dumb that it left me embarrassed that I actually chose to watch this thing. This is a bad movie, and it is time that I will never get back. The only silver-lining to me having watched this film, is the slight chance that there is someone reading this who was debating whether or not to watch Gallowwalkers. I urge you. Do not waste your time. Pick, literally, anything else. 2018 Netflix Halloween Countdown: "The Bar"
2018 Netflix Halloween Countdown: "Most Likely to Die"
2018 Netflix Halloween Countdown: "Little Evil"
2018 Netflix Halloween Countdown: "Would You Rather"
2018 Netflix Halloween Countdown: "13 Cameras"